“Hydroacoustic search” has been unified for all ships that have this consumable. Similar changes are going to be added for a “Smoke Generator” on every American ship. Now it’s way easier to memorize all these parameters and calculate their effect in a battle. We have noticed some confusion regarding changes of the Hydroacoustic Search consumable. We would like to clear the air by telling you exactly how this change is to be implemented. 5.5 km for ship detection range and 3.75 km for torpedoes detection range - Karlsruhe, Konigsberg, Nurnberg, Yorck, Graf Spee and Lo Yang. 6 km for ship detection range and 4 km for torpedoes detection range - Friedrich der Grosse, Grosser Kurfurst, Hipper, Roon, Hindenburg, Prinz Eugen and Z-52. 4 km for ship detection range and 3 km for torpedoes detection range - Graf Zeppelin, Ernst Gaede, Leberecht Maass and T-61. 5 km for ship detection range and 3,5 km for torpedoes detection range - Bismarck, Z-23, Z-46, Z-39. 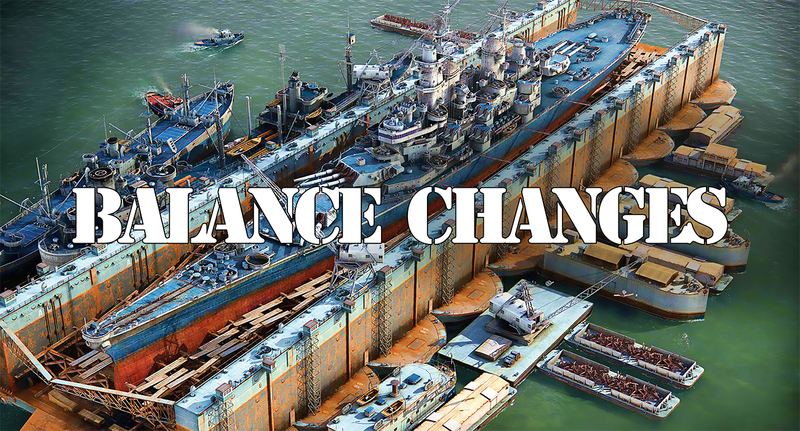 This change doesn't affect British Destroyers. “Smoke Generator” for all American ships – 30 seconds.